MANILA, WE WILL ROCK YOU! 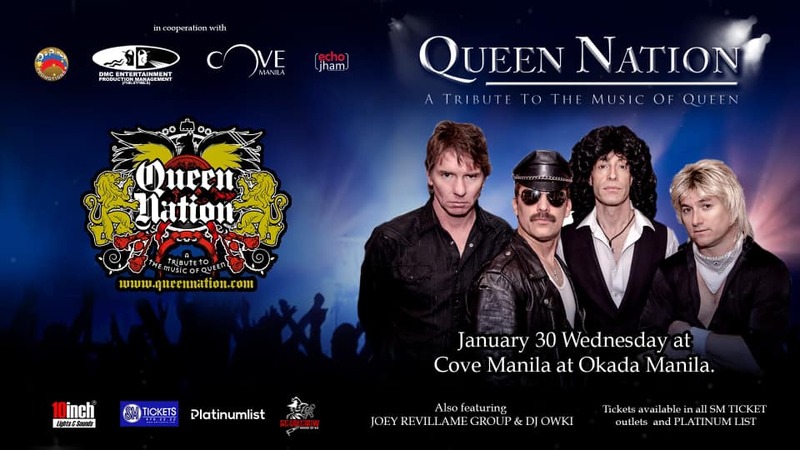 Re-live the music of the kings of arena rock and catch Queen Nation, the hottest tribute to the music of Queen, LIVE at Cove Manila this ?January 30, 9 PM?. Get on your bikes and ride down to Okada Manila&apos;s premier entertainment destination for an unforgettable night of rock and roll!